Last edited by nvpe; 04-15-2019 at 09:01 PM.. Your description clearly says that the new alternator did not fix the problem. A voltage reading with the engine off and with the engine running at above idle would help. 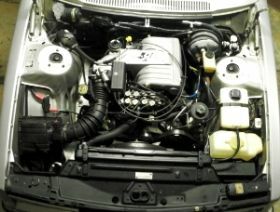 Check the connections between the alternator and battery and the battery and grounds for loose connections and corrosion. The small red wire needs to go where the black wire is (D+). 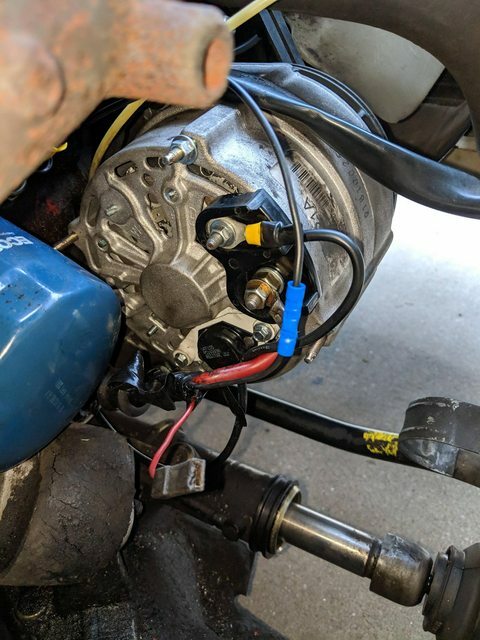 You'll need a ring connector to replace the connector on the wire or a blade terminal that can be attached to the stud on the alternator. The black wire needs to go to the case bolt with the loose nut or any of the case bolts assuming the other end is bolted to the block. The alternator is mounted in rubber and the black wire is what grounds the alternator. Fully charge the battery before trying to start the car. The alternator is not designed to charge a dead battery. You're an absolute lifesaver! Hooked everything up the way it should be and it fired right up! Took it out for a nice little test drive and while on it the battery light came on but im guessing that's because the battery is not fully charged. Either way thank you so much for your help! In your last photo the large red wire "appears" to have a fray wire that is close to the case bolt(or may just be angle of photo) in either situation you don't want that wire grounding out, you may want double check it. * Disconnect the battery if you need to get back in there & sort things out.